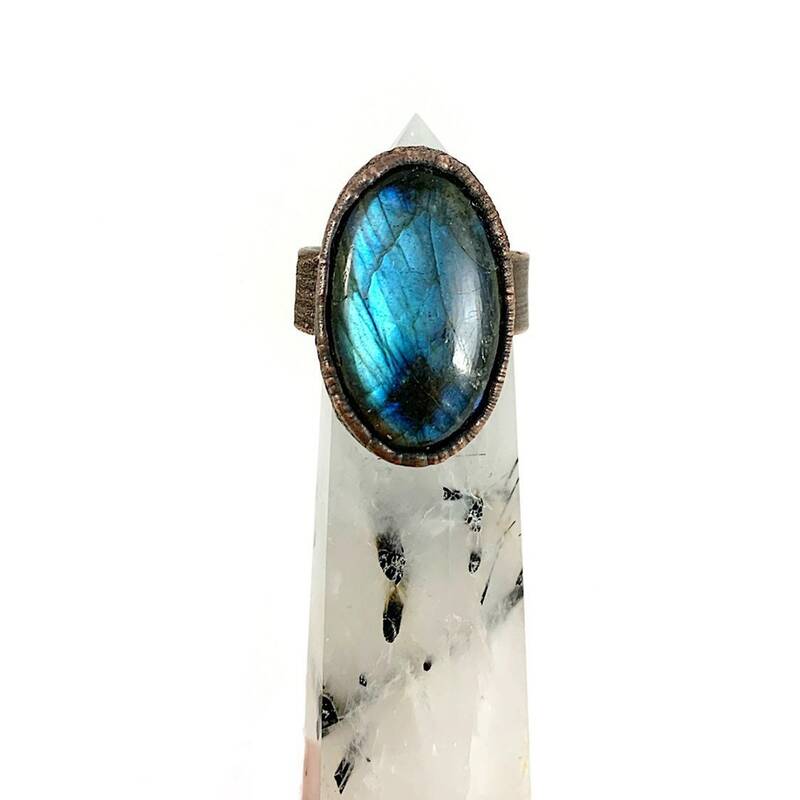 Beautiful, blue large oval shaped labradorite stone set in copper on a wide copper band. The stone has flashes of blue when it hits the light. 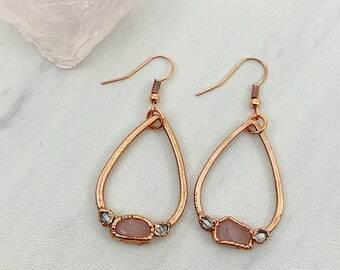 The copper has been oxidized to an antique bronze finish. This ring is one of a kind and size 8. This ring cannot be resized. Send me a message if you want a similar ring in a different size and I will make a custom ring for you! Note: This ring was created through a process called electroforming, which allows copper to build up over several hours. It is unpredictable and results in one of a kind and unique pieces. However, there may be small nicks, pits and bubbles in the copper as it is a natural process. Additionally, please be aware that over time, the color of the copper will naturally continue to darken. Labradorite is known as the stone of destiny and is believed to help you to find your true path in life. It is said to promote wisdom and understanding. It also assists in eliminating fears and insecurities.